Sir Stelios Haji-Ioannou’s latest venture, start-up African LCC Fastjet.com, is preparing to launch operations later this year from a base in West Africa, mostly likely Accra in Ghana. The new carrier aims to introduce affordable air travel for Africans to facilitate inter-regional tourism and business travel. Accra Kotoka Airport, the only hub in the diverse and fast-growing Ghanaian market, is expected to handle over 10,000 passengers per day by 2030, making it one of the six largest airports in Africa. Sir Stelios' easyGroup management team has been working on a feasibility study that is expected to recommend Fastjet.com connect six West African countries to Accra, with the possibility of expanding to 15 countries at a later date. According to reports in The Financial Times, Fastjet.com is considering leasing 15 aircraft and will launch operations within the new few months. If successful in Ghana, Fastjet.com would like to expand across Africa and become the first pan-African carrier. Attempts by LCC Fly540, which now operates in three East African countries and plans to work with Fastjet.com in West Africa, to become pan-African have until now been stalled by external obstacles. West Africa was selected by easyGroup because it is an underserved emerging market with huge growth potential. Not only is the region seeing a handful of new carriers, it is also home to two of the six African cities tipped to become “airline megacities” in the next 20 years. Airbus forecasts that Accra and Lagos will become “airline megacities” by 2030, meaning they will handle 10,000 or more long-haul passengers per day. Fastjet.com board members predict the carrier will transport 5 million passengers through Accra p/a. See related article: Nigeria and Ghana driving West African aviation development. Accra Kotoka Airport is now the fourth largest airport in West Africa with approximately 28,000 seats per week. The three busiest airports in West Africa are all located in Nigeria (Lagos, Abuja and Port Harcourt) and this is a major reason why Fastjet.com’s investors chose Ghana as the site of the new carrier and not Nigeria. The Nigerian market is much more crowded with several local and major foreign carriers. There is also a large presence of foreign airlines in Ghana but the country currently lacks its own international airline. Accra-based Antrak Air is now the largest Ghanaian carrier. But Antrak, which is owned by local investors, only has domestic services and operates a small fleet of ATR 42 and Beech 1900D turboprops. A second local carrier, Starbow Airlines, operates domestic routes with BAe 146 regional jets. Starbow launched services in Sept-2011 and aims to eventually expand into the international market, making it a potential competitor to Fastjet.com. But given its use of the four-engine BAe 146, which has higher per seat operating costs than A320s or Boeing 737s, Starbow will likely stick to thin regional routes when and if it launches international services. Africa was selected as the home of Sir Stelios’ project despite the continent’s lack of open skies policies that make operating an airline, let alone establishing one, challenging despite its huge growth potential. While Africa continues to suffer from a lack of investment, poor liberalisation, competition from Middle Eastern carriers and corruption, the region is a major growth market where LCC capacity is just starting to gain speed. Fastjet.com’s entry could change Africa’s LCC market. South Africa is now the most developed LCC market in Africa, with LCCs currently accounting for 45% of domestic capacity. Fastjet.com’s decision to operate in West Africa is an important step in spreading the African LCC movement to other markets. 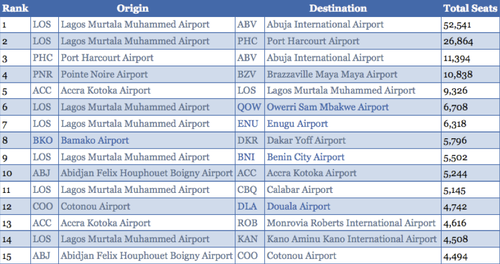 LCCs now account for only about 1% of total capacity in West Africa. Nigeria and Ghana account for 46% and 7% of the region’s total capacity, respectively. Ghana currently has an LCC penetration rate of zero as not a single LCC now serves the country. West Africa’s current aviation market is plagued by corruption, mismanagement and safety issues. But there are some successful full-service airlines in the region. Initially Fastjet.com aims to serve six routes in West Africa from its impending Accra Kotoka Airport base. It is likely Fastjet.com would remain, at least at the beginning, within the region although further international expansion is possible. Fastjet’s airport choices are fairly limited as low levels of investments mean many airports in West Africa are underdeveloped and lack “European standard” equipment (a provision of Rubicon’s investment is that the carrier acquires a “European standard” fleet). The carrier is likely to serve Lagos and Abuja in Nigeria as Nigeria is Ghana’s third largest overall trading partner. Lagos is now by far the largest route from Accra while Abuja is the eigth largest, according to Innovata capacity data. Both routes see a high percentage of business travellers. Fastjet.com, pending government approvals, is also expected to target routes into Senegal, Cameroon, Guinea, Cote d’Ivoire, The Gambia, Sierra Leone, Liberia and Benin. Abidjan in Cote d’Ivoire is now the second largest route from Accra and Monrovia in Liberia is the third largest route. 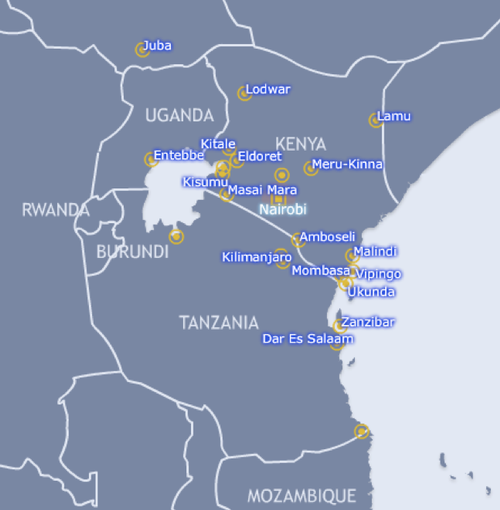 The other potential Fastjet.com routes currently have little or no service. The carrier is likely to steer clear of countries such as Mauritania, Niger, Burkina Faso and Mali because the security levels in those countries are still considered dangerous by many Western governments. West Africa’s three busiest routes are all within Nigeria, which highlights another reason why Accra has been selected over Lagos or Abuja. While it will operate some highly competitive regional international routes such as Accra-Lagos, Fastjet.com will likely focus on regional international routes which currently have little to no service. By offering West African markets their first taste of low fares, Fastjet.com should be able to stimulate demand on such routes. Emirates is currently the largest carrier at Accra, with over 7200 seats per week. Among the 10 largest carriers serving Ghana, five are from other African countries (Air Nigeria, Kenya Airways, Nigeria’s Arik Air, Togo-based ASKY and Nigeria’s Aero) and five are from outside Africa (Emirates, Delta Air Lines, KLM, British Airways and Lufthansa). Accra is now served by 23 foreign carriers, including 11 from outside Africa. Iberia will become the 12th non-African carrier serving Accra in June, when it launches two weekly flights from Madrid. Fastjet.com could help Accra turn into a regional hub for West Africa. Currently there are limited connections to West Africa, with the exception of Nigeria and Liberia, for passengers arriving in Ghana on long-haul flights. While Fastjet.com will be an LCC and is unlikely to pursue codeshares at least initially, self-connections will likely be pursued by passengers heading to or from other West African countries. Accra in particular could become a hub for passengers arriving from the US. Ghana is well positioned to exploit traffic in the fast-growing US-Africa market as geographically it is one of the closest African countries to the US. Delta is already the third largest carrier at Accra, with service from Atlanta and New York JFK, while United serves the Ghanaian capital from Washington Dulles. Some of Delta’s Accra flights continue on to Abuja and Monrovia, which highlight the potential of Accra as a transit hub for passengers heading between the US and Africa. United’s Washington-Accra flight also continued onto Lagos until Nov-2011, when the Lagos leg was dropped following United’s launch of non-stop services to Lagos from Houston. Fastjet.com could offer passengers flying on Delta and United a wider range of connections at a lower cost. While it is unlikely that Fastjet.com will work directly with US full-service carriers, the potential for self-connections is huge as passengers heading between Africa and the US look for the most convenient and least expensive combinations. Sir Stelios announced in Dec-2011 a partnership with UK investment group Rubicon Diversified Investments to establish Fastjet.com. easyGroup, the holding company of European LCC easyJet, entered an agreement with Rubicon Diversified Investments that saw Rubicon pay easyGroup a royalty in return for its initial investment in a start-up airline, managerial advice and use of the Fastjet.com name for one year. The extension of the right to use the Fastjet.com name is conditional on the carrier obtaining “European standard” aircraft. As part of the partnership, the two companies agreed to conduct a feasibility study into launching an LCC in Africa. At the time it was announced, the investment company had raised GBP9 million through a placement that will fund the launch of the carrier. This placing was approved at a Rubicon shareholders meeting, which also saw the appointment of Lonrho chairman David Lenigas and CEO Geoffrey White to Rubicon’s board. Lonrho, which owns 49% of pan-African LCC Fly540 (as well as corresponding brands Fly540 Uganda, Fly540 Ghana, Fly540 Angola and Fly540 Tanzania) purchased a 12.7% stake in the company. Lonrho has been planning for some time to establish an operation in Ghana under the brand Fly540 Ghana. Fly540 continues its own preparations to launch services in Ghana but is now discussing a partnership with Fastjet.com. A truly African-focussed conglomerate, Lonrho has hotels in the Democratic Republic of the Congo, Mozambique and Zimbabwe, a water bottle company, a technology provider in Mozambique, an integrated support services programme, a developing transportation arm and an airline venture. As it aims to establish a pan-African network, Lonrho/Fly540 is the most logical partner for a start-up African LCC such as Fastjet.com. But Fly540 has had to overcome its fair share of obstacles. Fly540 began as a Kenyan LCC in 2006 with plans to establish its operations across Africa. Fly540 so far operates in Kenya, Tanzania and Uganda. While it has permission to operate routes in Angola, it is yet to acquire the aircraft to launch Fly540 Angola. The establishment of Fly540 Angola has been a “long and difficult procedure”, according to the Lonhro Group due to the country’s restrictive nature. After training staff to international standards, Fly540 Angola’s Air Service Licence (ASL) was finally converted to an Air Operator's Certificate (AOC) over one year after the process began. The company also has experienced difficulty in obtaining permission to operate internationally within Africa, due to each state’s restrictive policies on foreign carriers. Fly540’s original operations in Kenya have been fully stabilised since its Oct-2006 launch and it now serves five countries from its Nairobi base. Fly540 Tanzania has established domestic operations and serves the upper half of the country. Fly540 Uganda currently only serves one route, Entebbe-Nairboi. The Fly540 group overall remains a small player, operating less than 10 aircraft. It has a mixed fleet consisting of turboprops and small jets. In its main market of Kenya, Fly540 now only accounts for 2% of capacity in the international market and 19% of capacity in the country's small domestic market. Fly540 originally planned to establish an operation in Ghana, which would be its first market outside East Africa, by Oct-2011. But this has repeatedly been delayed. While Fly540 Ghana has been advertising for pilots, ground staff and reservations agents in Ghana, it has not yet revealed its route network and has not yet acquired any aircraft. Fastjet.com has revealed there is probably going to be an association with Fly540 in Ghana, which will make Fastjet.com’s launch easier through the use of Fly540’s existing infrastructure. A takeover or merger with Fastjet.com is reportedly not in Fly540’s long-term plan. West Africa’s rich cities, increasing income levels, growing demand and booming business market makes it the perfect location to launch a carrier in Africa. 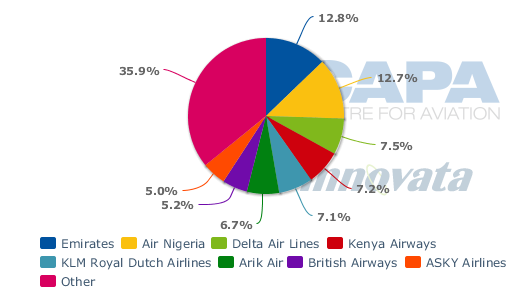 While other regions in Africa, primarily North and Southern Africa, already have established LCC markets in Central/West Africa, only 1.4% of total capacity is now flown by LCCs. Fastjet.com is expected to cause a stir in the market and should become the pioneering LCC in the region. Under contract terms, Sir Stelios is prohibited from being involved in an airline that operates to/from Europe, so has reiterated many times that Fastjet.com will operate within Africa only, with Sir Stelios telling The Financial Times the carrier must “learn to walk before it can run”, in regards to becoming a pan-Africa carrier. Judging by the rapid expansion of easyJet it may not be long before Fastjet.com is operating services from Accra to Nairobi, Durban or Luanda. But for now Fastjet.com needs to focus on obtaining all related permissions from the various governments (which can be a difficult feat in Africa, as experienced by Fly540). Fastjet.com, despite being a foreign company, is likely to be well received by the West African people as their incomes increase and the demand for travel within the region continues to grow. Until Jul-2011, Rubicon Diversified Investments was known as Rubicon Software Group and focussed on the consultancy and design development of a provision of computer software. The company’s services and solutions were sold to customers to automate business processes relating to workflow management, internet, intranet and client interaction. In Jul-2011, the company announced it was selling its software business and considering alternative investment plans. The company is currently listed on the London Stock Exchange and since its public floatation in 2006, has failed to achieve a pre-tax profit. It has a market capitalisation of GBP3.5 million.